Looking for a solution to hide WooCommerce products at your store? Sometimes you don’t want every single product available to the public, especially if you’re running something like a wholesale or members-only store (though the use cases definitely don’t stop there). Which way of hiding WooCommerce products is right for you? I’ll keep this brief because you probably have a good idea of which is right for your situation already. The core WooCommerce functionality is helpful if you just need to hide a single product. But it’s difficult to manage if you want to hide multiple WooCommerce products. WooCommerce Protected Categories is good if you want to just create some hidden products in an otherwise public store. 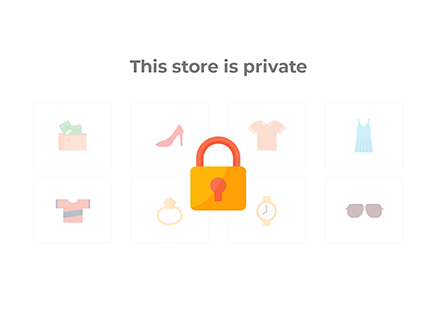 WooCommerce Private Store is good if you want to make every single product hidden. Automatically unlocking the hidden product(s) for all logged in users. 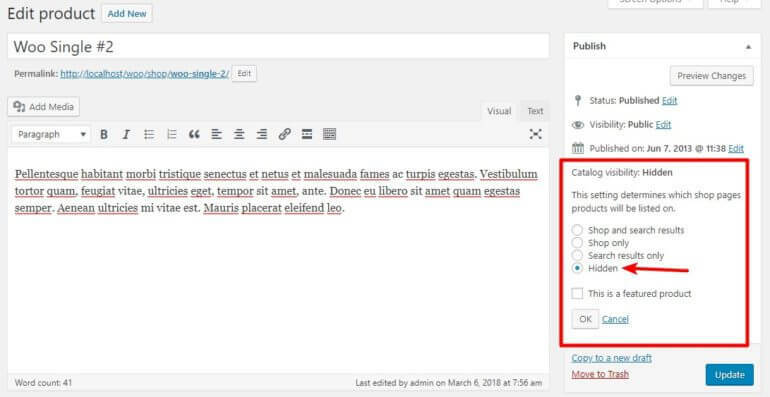 Automatically unlocking the hidden product(s) for specific logged in users or roles. Below, I’ll take you through how to use each plugin to hide WooCommerce products, as well as the core WooCommerce functionality. Note: when you use this method, your product is hidden from the shop pages. But if a user gets their hands on a direct link, they’ll still be able to access the product. For that reason, this method is not a good approach if you actually want to make the product private – not just hidden. Also, this method isn’t very efficient if you need to hide multiple products, as you’ll need to manually edit every single product. If you want to hide lots of products, it’s much more efficient to just bulk assign them to a category and hide that category using the next method. To get started, you’ll need WooCommerce Protected Categories installed and activated at your WooCommerce store. Then, create a new product category for your private products. I’ll give mine a creative name of “Private Products”, but you can name yours whatever makes sense. Once you have the category, assign the products that you want to hide to that category. Start hiding entire categories of WooCommerce products today. 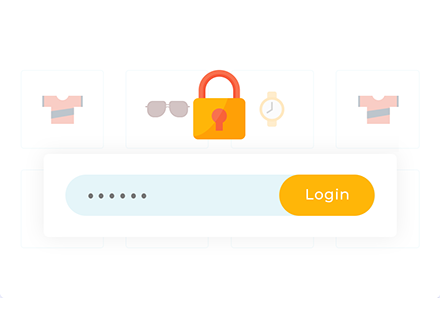 Then, you can configure how your password protected categories function by going to WooCommerce → Settings → Products → Protected Categories. You can also peruse the other settings to see if anything applies to your specific needs. 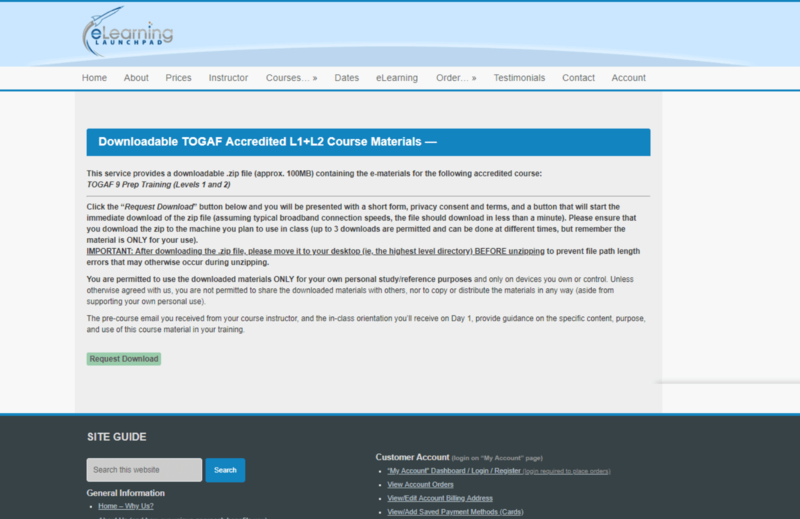 eLearning Launchpad is a TOGAF 9 accredited training course provider based in the US. 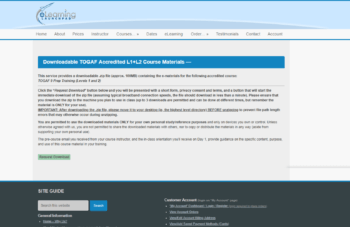 Delegates on training courses need to be able to download the course materials in advance of attending the courses. But instead of using a commercial filesharing service, our WooCommerce Protected Categories plugin hides WooCommerce Products by working alongside the Free Downloads WooCommerce Pro plugin from Square One Media. Here’s how the two plugins work together. 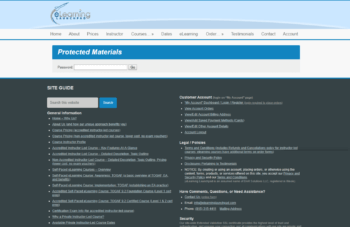 A password protected category page hides the course materials (i.e. WooCommerce products). A password is sent to course participants to access the category page. Then the materials can be downloaded. Thanks to the Free Downloads WooCommerce Pro plugin, they’re able to capture a few details before any file is downloaded. Even though each download isn’t being sold on the site, they decided to set up the downloads as WooCommerce products to make them easy to manage – and easy to hide. 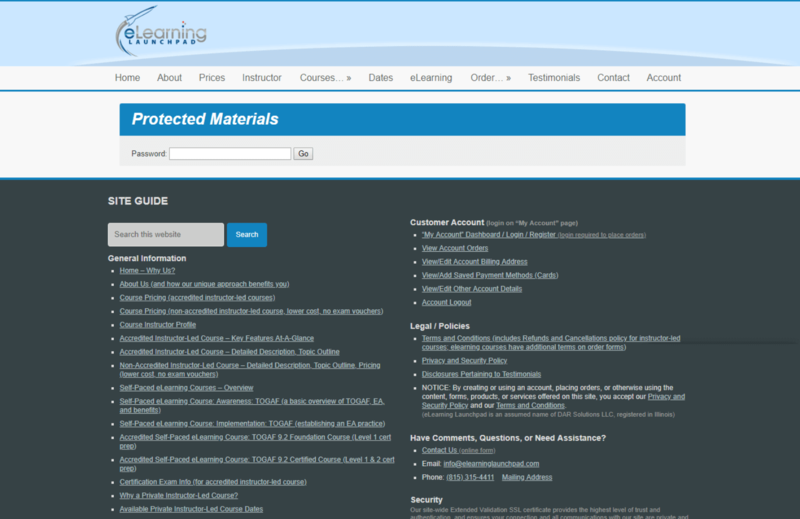 Select Protected -> Users and choose which users and/or roles can access your hidden WooCommerce products. Now it’s time for the third, and most private, way to hide WooCommerce products. If you want to hide all of your products from the public, you’ll need the WooCommerce Private Store plugin installed and activated. 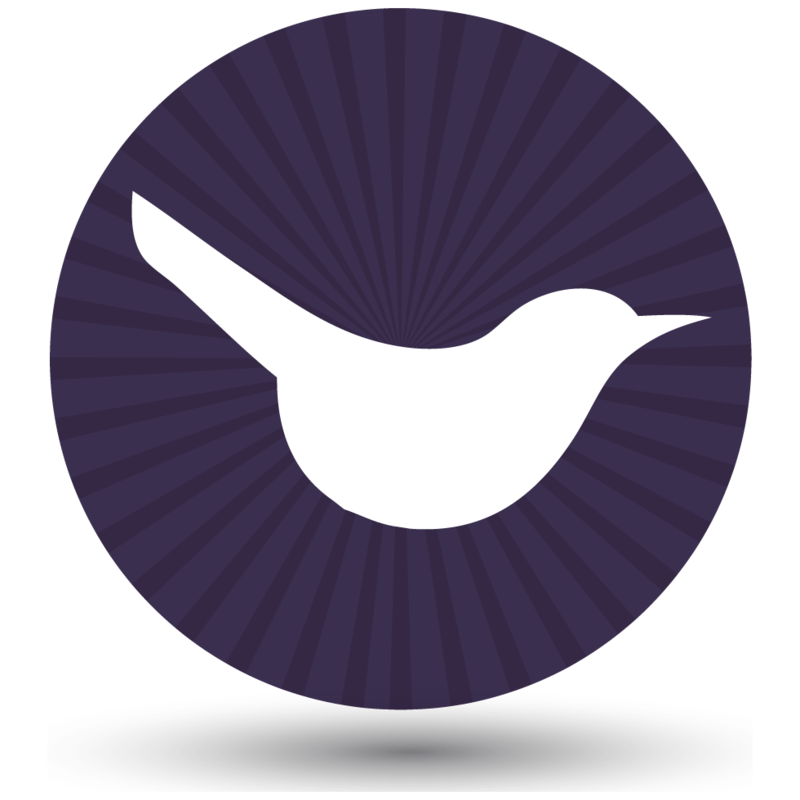 Then, go to WooCommerce → Settings → Private Store to configure the plugin. Hide all your WooCommerce products in less than 2 minutes. If you want to automatically allow logged in users to see your private store, you just need to check the box for Automatically unlock the store for logged in users. Whether you need to hide a single product, one or more categories of products, or your entire WooCommerce store, one of the above methods should work for you. To hide a single product, you can use the Hidden Catalog Visibility option. Just remember that people can still see the product if they get a direct link – it’s not actually private. 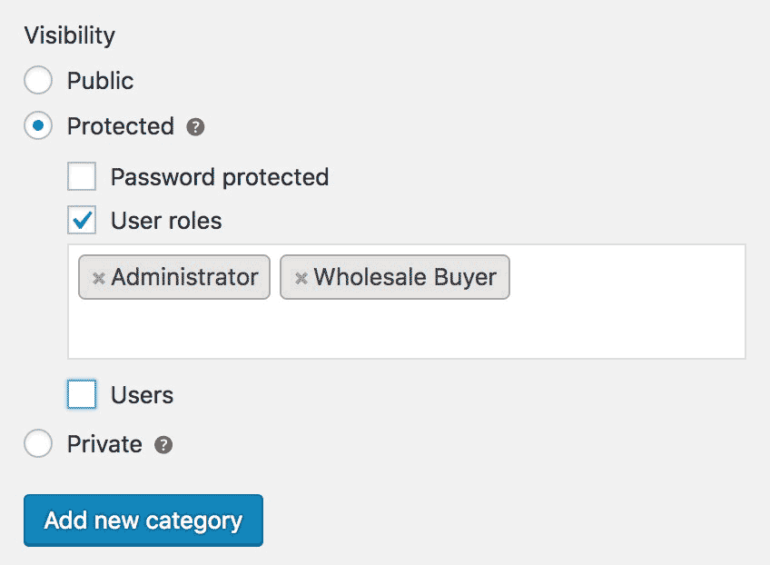 If you want to hide an entire category of WooCommerce products, WooCommerce Protected Categories lets you do so via either password protection or specific logged in users or roles. 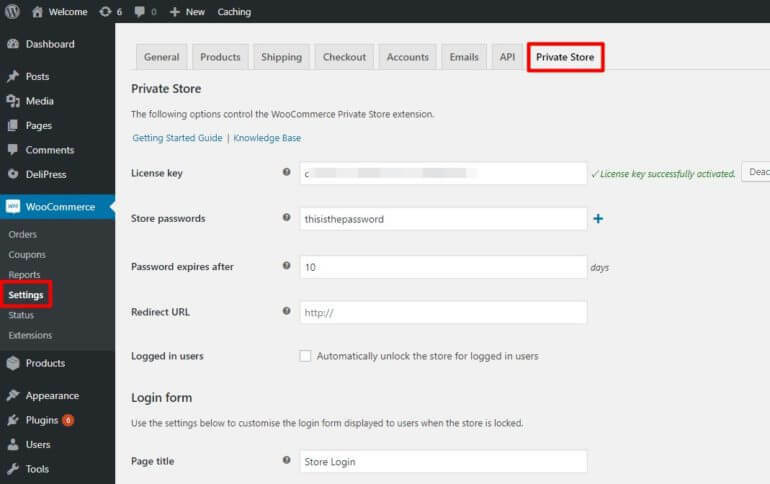 To hide your entire WooCommerce store, WooCommerce Private Store lets you do so via either password protection or by automatically unhiding your store for logged in users. Any other questions about how to hide WooCommerce products on your WordPress website? Leave a comment and we’ll try to help out. This actually really helped, thank you!